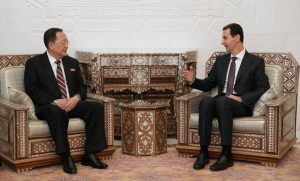 Damascus, SANA- President Bashar al-Assad on Tuesday received Foreign Minister of the Democratic People’s Republic of Korea (DPRK) Ri Yong-ho and the accompanying delegation. 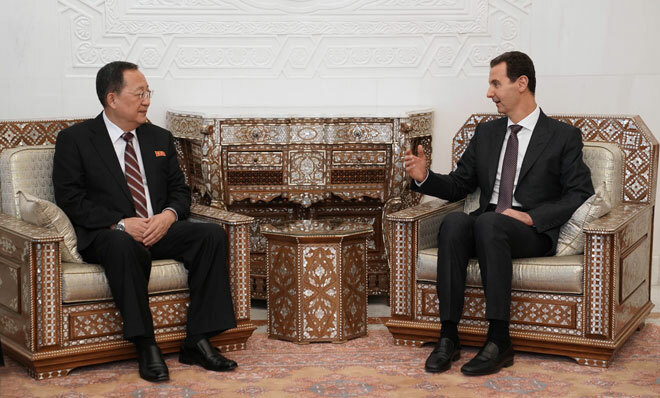 Talks during the meeting touched on the historic friendly relations between Syria and the DPRK and means to enhance them. Minister Ri relayed to President al-Assad and the Syrian people a verbal message from President of the DPRK Kim Jong-un, expressing his country’s firm support for Syria and offering congratulations over the victories achieved in the fight against terrorism, in addition to voicing confidence in Syria’s ability to succeed in the reconstruction process because it will be built on solid basis of political and military success. 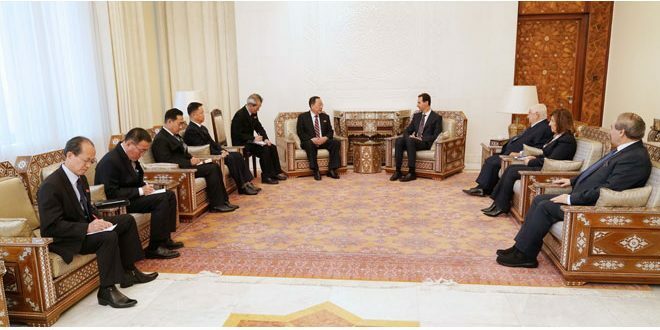 The Minister also briefed President al-Assad on the basis of the DPRK’s foreign policy, noting that the enemy which the DPRK, Syria, and all states that reject hegemony and foreign interference is one and the same, which requires increasing coordination among these states to confront foreign plots. 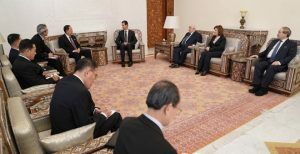 President al-Assad said that despite the difference in the forms of the wars and pressure to which Syria and DPRK are exposed, their essence and purpose is the same; to weaken the countries that have independent decision and stand in the face of Western projects. 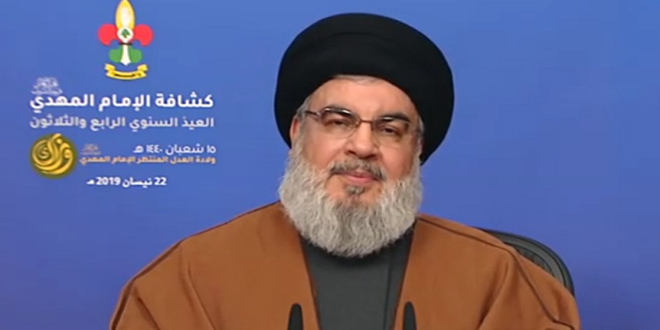 He added that these wars are not just about Syria and the DPRK; they are wars for redrawing the map of the world. 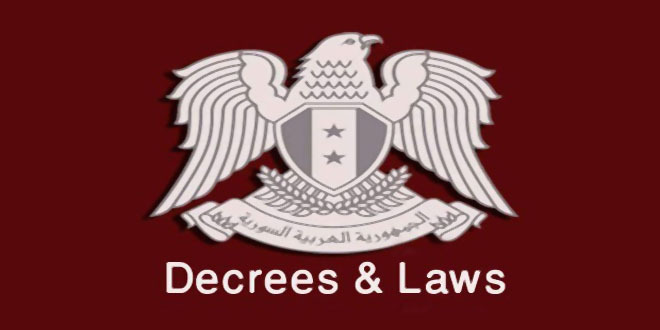 President al-Assad said that the American hostility towards all the independent states knows no geographical limits, adding that the defeats of Western projects and the steadfastness of independent countries such as Syria, the DPRK and others are capable of changing the international arena and restoring balance to it. The meeting was attended by Deputy Prime Minister, Foreign and Expatriates Minister Walid al-Moallem, Presidential Political and Media Advisor Bouthaina Shaaban, and Deputy Foreign and Expatriates Minister Fayssal Mikdad. In the same context, Prime Minister Imad Khamis discussed with Yong-ho and the accompanying delegation means of developing and boosting bilateral relations between the two countries in the interests of the two peoples and the region. 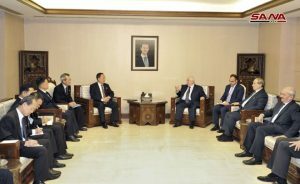 During the meeting, Khamis underlined that Syria is keen on developing its ties with DPRK in the economic, cultural, service and investment fields to promote ties up to the level of deeply-rooted political relations. 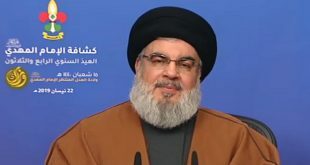 Yong-ho, for his part, said that Syria is now in the last stage to end the war and liberate all its territory from terrorism thanks to the sacrifices of the Syrian army and people. 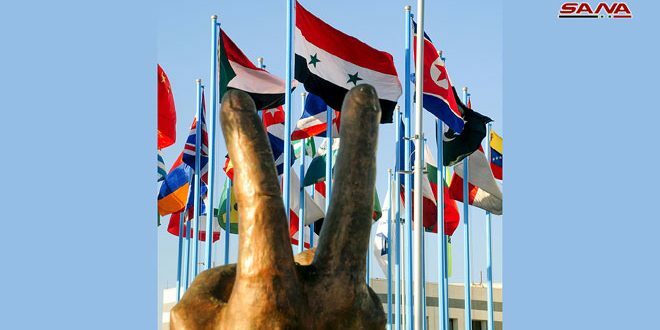 He appreciated the efforts exerted by Syria to secure the requirements of reconstruction process and overcome the war. In this regard, Minister al-Moallem met Minister Ri and the accompanying delegation, discussing with him bilateral relations and means to improve them in all fields, particularly politics and economy. 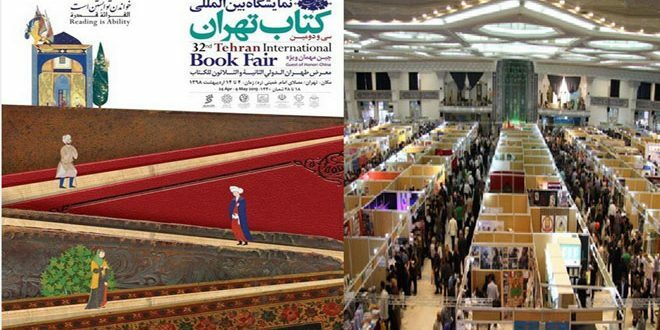 The two sides affirmed the need to maintain coordination in international circles to confront challenges and unjust sanctions. 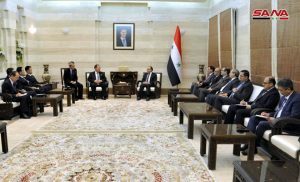 Talks during the meeting touched on the situation in Syria and the region, East Asia, and Southeast Asia, in addition to the achievements of the Syrian Arab Army in the fight against terrorism.